California Warriors players have excelled this season in their respective leagues all around the Bay Area. Congratulations to the twenty-five California Warriors who have represented their schools and the California Warriors with All-League selections! A Home field advantage is something that all athletes look forward to, especially collegiately. There has been no such advantage for the College of Marin Baseball team this season as new field construction is underway. Displaced since the beginning of the school year in August, the Mariners have practiced throughout the county and played all games outside of Marin. Despite their situation, the Mariners have had one of the most successful seasons in program history earning their 2nd consecutive Bay Valley Conference Title, and the program’s 5th in the last six years. Overall, the Mariners finished the regular season 27-12, 16-5 in conference play to win the title by a game. With this incredible season the Mariners earned the 6th seed in the state playoffs, eventually falling 2-1 in a 3-game series against College of San Mateo. Alex Davis (Tamalpais HS), who hits in the middle of the Mariners order, is hitting .338 with a .453 OBP. His 38 RBI’s lead the Mariners to go along with his 12 2B’s and 2 3B’s. He has also started every game at shortstop for the Mariner’s this season. He will be attending DI San Jose State University in the fall. Left fielder Adam Hussain (Redwood HS) was a big bat in the middle of the order for the Mariners this season, putting himself in the conversation for Conference Player of the year. While his overall slash line of .381/.461/.576 is above average, his conference play has been even better sitting at .447/.510/.671. Three of his team leading four homeruns have come in conference play as well as 25 of his 34 RBI’s. His 15 2B’s overall lead the team. Center fielder Christian Merriwether (Castro Valley HS) has made the biggest jump from Pre Season to Conference play going from .276/.379/.355 to .353/.444/.494. He also leads the team with 14 stolen bases as well as his award worthy defense in centerfield. Starting 3rd baseman and #3 pitcher Dominic Burke (San Marin HS) has done it all for the Mariners this season. Despite a 4-6 record on the mound, Burke has just a 3.90 ERA overall in 60 innings pitched. After hitting over .320 and serving as the leadoff hitter as a freshman, Burke moved into the middle of the order this season and has produced 16 RBI’s. His biggest contribution comes on the defensive end as he has committed zero errors at 3rd base and on the mound. His .1000% fielding percentage leads the state. Leading the bullpen was closer Nick Roth (Drake HS) who is tied for the state lead in saves with 10. The bullpen was something new to Roth as he served as a starter for four years at Drake. However, he had no problem transitioning to the bullpen as his 30.1 innings lead all relievers to go with his 3.26 ERA and 34 strikeouts. Roth’s efforts thus far will give him a great chance at All-American honors. Owen Hamilton (Sir Francis Drake HS), a high school teammate of Roth has been just as successful helping bridge the gap to the closer going 3-1 with a 2.14 ERA in 21 innings. Congratulations to Joe Ryan on being named the California Warriors Alumni Player of the week! The Stanislaus State University pitcher has had a great season on the mound, and we look forward to seeing what his future in baseball holds! Joe Ryan | Stanislaus State University | P: Facing up against Chico State, Joe delivered an unhittable performance, striking out 11, walking 0, and giving up 1 Run on his way to earning the Win. This game wasn’t a fluke, as Joe has tossed 98.1 IP this season while collecting an outstanding 127/13 K/BB to go along with an 8-1 record and an immaculate 1.65 ERA. Not for nothing, but Joe has also thrown 2 Complete Game Shutouts this season. Deven Irwin | Pinole Valley HS | OF/INF/P: Deven has been having a great season for Pinole Valley, and has been on a particularly hot streak of late – over his last 7 games, Irwin is 10-for-27 with 11 Runs and 6 RBI. Over 72 ABs on the season, Deven has a .403 AVG and a .467 OBP to go along with 18 RBI and 21 Runs. Colby Morris | Middlebury College | P: Morris has been a dominant force on the mound over his last two starts, most recently tossing 7 IP with 5 K’s, 0 ER, and earning the Win. Before that, Colby threw a Complete Game, giving up only 1 Run over his 9 IP and striking out 6. Over 63.1 IP this season, Colby has an outstanding 1.71 ERA along with 5 Wins. 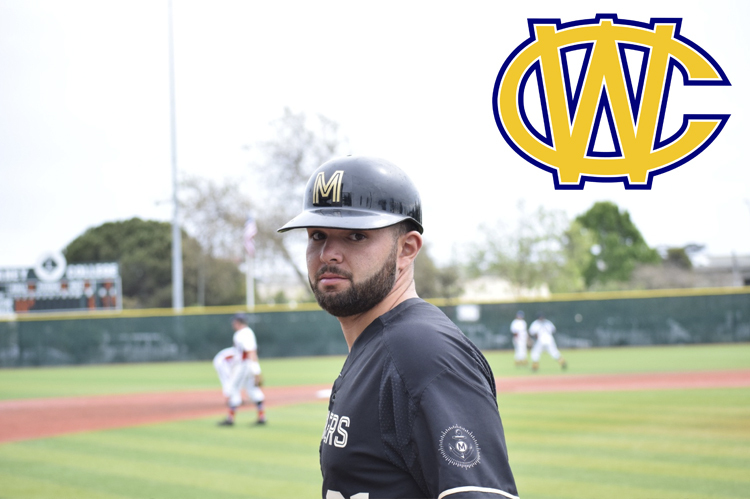 Christian Merriwether | College of Marin | OF: Christian’s bat helped lead Marin to clinching the Bay Valley Conference for 2018, and he stayed hot at the plate through the end of their season. Over the last week of games, Merriwether was on fire, going 14-for-32 with 11 Runs, 7 RBI, 3 Doubles, 1 HR, and 2 Stolen Bases. Congratulations to Christian and the rest of the College of Marin team on a great season! Jackson has known Baker since the day he was born and is a big reason why Baker committed to Cal when he was a sophomore in high school. Dusty Baker was a close friend of Noah’s father Sylvester Jackson – a broadcaster for the A’s in the late-80s. When Sylvester Jackson passed away, Dusty made Noah his godson. 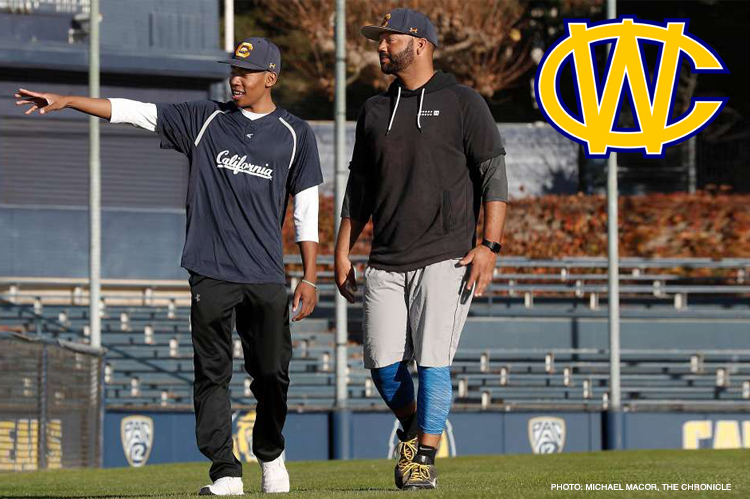 The support propelled Jackson to become a Cal graduate in 2003, and now as an assistant coach with the Bears, Jackson is trying to re-pay the Baker family by mentoring Darren both on and off the field. 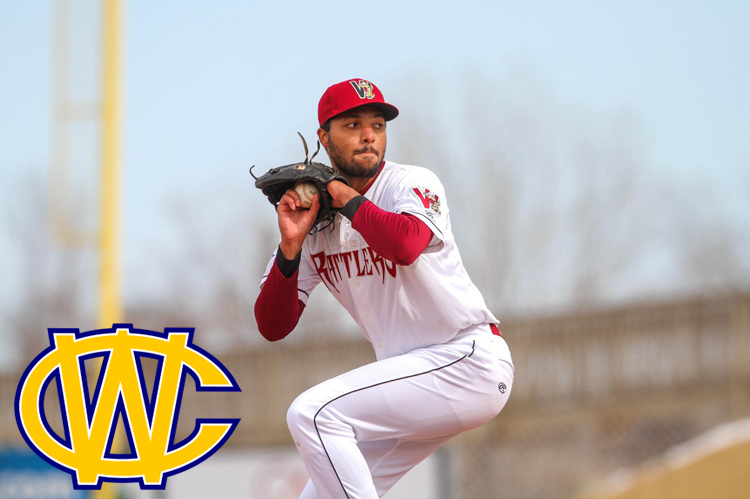 Congratulations to California Warriors alum and Wisconsin Timber Rattlers (Class A, Milwaukee Brewers) pitcher Michael Peterson on being named the CaliWarriors Alumni Player of the Week! Michael Petersen | Wisconsin Timber Rattlers, Class A – Milwaukee Brewers | P: Petersen enjoyed his longest outing of the season this week, tossing 4 IP of shutout ball with 5 K’s. He has yet to allow a run this season over 8.2 IP and has a 9/2 K/BB ratio. Lucas Erceg | Biloxi Shuckers, Double A – Milwaukee Brewers | P: Erceg’s hot bat has been a key part of the Shuckers’ lineup, as he has amassed a .319 AVG / .385 OBP / .435 SLG triple-slash so far on the season. Over the last week, he has gone 8-for-23 with 3 R, 4 RBI, and a HR, and has earned his place as the #4 prospect in the Milwaukee Brewers system. Robbie Tenerowicz | Charlotte Stone Crabs, Class A Advanced – Tampa Bay Rays | 2B: Over the last week, Robbie has continued his season-long trend of dominating opposing pitching. He is 8 for his last 25 with 5 R, 4 RBI, and 1 SB. On the season, he has a .339 AVG / .375 OBP / .441 SLG triple-slash over 59 AB’s. 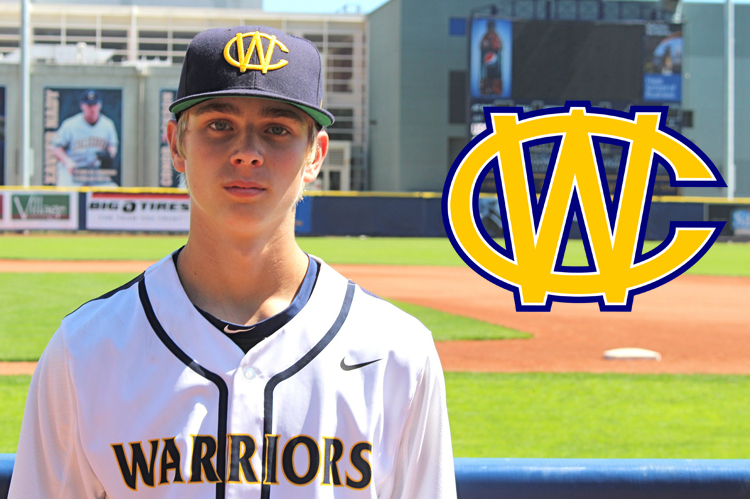 Alex Fernandez | Academy of Art University | P: Alex has made the California Warriors Alumni Players of the Week cut once again, this time after tossing a Complete Game against University of Hawaii Hilo during which he gave up 0 ER and struck out 3 batters. Over 65 IP on the season so far, Fernandez has a 2.63 ERA to go along with 48 K’s. Elijah Smith | Academy of Art University | 2B/SS: Fernandez’ teammate on the Academy of Art roster, Elijah has also made this week’s list of top California Warriors alumni after going 6 for his last 15 with 4 Runs scored and 3 RBI while flashing some speed on the basepath with 2 SB and 2 Triples. 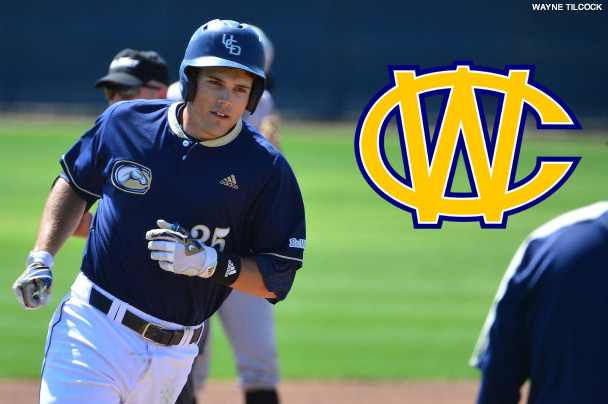 Congratulations to UC Davis outfielder Ryan Hooper on being named this week’s top California Warriors Alumni student athlete! Ryan Hooper | UC Davis | OF: Ryan held his own at the dish this week in tough matchups against Stanford and Cal Poly, going 7-for-14 with 4 Runs scored, 1 RBI, 2 Doubles, and 2 SB’s. Hooper is sporting a .296 AVG over 115 AB’s on the season so far to go along with 17 Runs, 21 RBI, 3 HR, and 8 SB. Ben Somorjai | Haveford College | C: Somorjai has been swinging a hot bat of late after seeing his playing time ramp up in the latter half of the season. Over the last week, Ben has gone 6-for15 with a Run scored and 4 RBI. Kevin Whitaker | Laney College | Util: Whitaker has been a machine at the plate all season long, earning him another mention in the Alumni Players of the Week. This time, he has gone 8-for-22 with a Run, 2 RBI, 1 HR, and a Stolen Base. Christian Merriwether | College of Marin | CF: Christian has hit his stride in the month of April, collecting several multi-hit games. This week, he went 6-for-17 with 3 Runs, 1 RBI, and a SB. Michael Praszker | Santa Clara University | P: Michael entered the game in the forth inning with his team up 4 to 3, firing 3 shutout innings that kept Santa Clara in the lead and allowed his team to continue on to win the game. In this appearance, Praszker allowed 0 hits, struck out 4 batters, and earned the Win. Congratulations to Joe Ryan, former California Warrior and current student athlete at Stanislaus State on a dominant week to complement his already excellent season! Joe Ryan | Stanislaus State | P: In his most recent outing, Joe tossed a dominant 7 IP during which he gave up only 1 ER and struck out 11 batters. Joe’s previous start was a complete game shutout with 15 K’s and 0 BB’s. On the season, Joe has a pristine 1.69 ERA over 69.1 IP with a 92/2 K/BB ratio, 6 Wins, and only 1 Loss. CJ Novogradac | Claremont McKenna | OF: Making his second appearance among the CaliWarriors Alumni Players of the Week CJ is coming off a stellar week at the plate, going 7-for-12 with 2 Runs, 5 RBI, 1 HR, and 4 Doubles. Adam Hussain | College of Marin | OF: Adam has continued to tear into opposing pitching as the season has progressed, going 16 for his last 22 with 4 Runs, 9 RBI, 2 HR, 2 Doubles, and 3 SB. Alex Fernandez | Academy of Art University | P: Alex has been a reliable arm for the Urban Knights this season, and tallied his highest strikeout total in a game this week. Facing Biola University, Alex tossed 7 IP with 0 ER and struck out 10 batters. 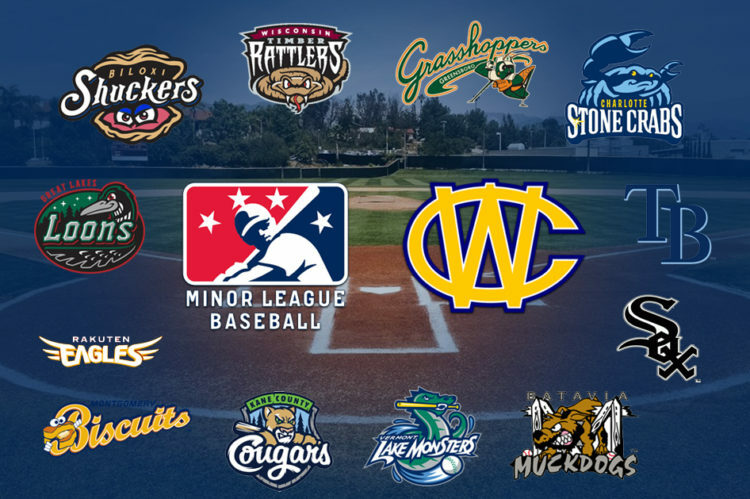 Lucas Erceg | Biloxi Shuckers, AA – Milwaukee Brewers | OF: Erceg got an early start to the season, spending Spring Training with the Milwaukee Brewers squad. Adding to his 2-for-4 showing in Spring Training, Lucas has opened his season at Double-A going 9-for-19 with 1 Run, 1 RBI, and 3 Doubles. Matt Krook | Montgomery Biscuits, AA – Tampa Bay Rays | P: Matt made his first appearance on the hill for his new club after being dealt to the Rays organization in the trade that sent Evan Longoria to the San Francisco Giants in the offseason, and he did not disappoint. Over 4 IP, Krook gave up only 1 ER and struck out 2 batters. Kenny Rosenberg | Charlotte Stone Crabs, Class A Advanced – Tampa Bay Rays | P: After earning a promotion up to Class A Advanced, Kenny tossed 4 Innings in his first start of the season against the Fort Meyers Miracle during which he collected 4 K’s. Robbie Tenerowicz | Charlotte Stone Crabs, Class A Advanced – Tampa Bay Rays | 2B: Joining his teammate Kenny on this list, Robbie has made an impact early in the season for the Stone Crabs, going 4-for-11 with a HR, 5 RBI, 3 Runs, a Double, and a Stolen Base. Marcus Chiu | Great Lakes Loons, Class A – Los Angeles Dodgers | 2B: Marcus has flashed some of the power he has come to be known for in his time at the plate so far, going 2-for-9 with a HR, 2 RBI, 4 Runs, and a Stolen Base. Check out this article in the Midland Daily News that featured him and teammate Max Gamboa. Max Gamboa | Great Lakes Loons, Class A – Los Angeles Dodgers | P: Rounding out the second pair of teammates on this list, Max had a great showing on the mound to start off the 2018 season, tossing 4 IP while striking out 4, holding opposing hitters to a .188 AVG, and giving up only 1 ER. Aaron Knapp | Greensboro Grasshoppers, Class A – Los Angeles Dodgers | CF: The former CAL standout is entering his third season in the Miami Marlins organization, and is off to a productive start, going 2-for-7 with 5 BB, 1 Run, 1 RBI, and a Stolen Base. Michael Petersen | Wisconsin Timber Rattlers, Class A – Milwaukee Brewers | P: Petersen’s first appearance of the season was a successful one, keeping the Timber Rattlers in the game with 2 IP of shutout relief while collecting 3 K’s. 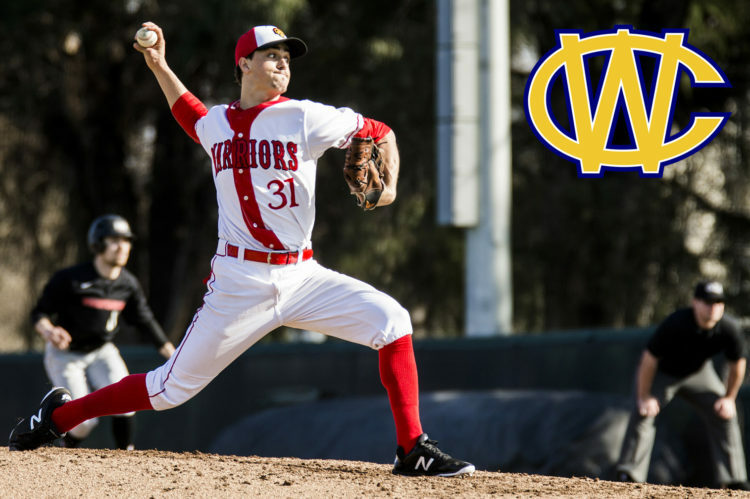 Congratulations to Nick Roth, pitcher at College of Marin, on taking home the top honors for the California Warriors Alumni Players of the Week! 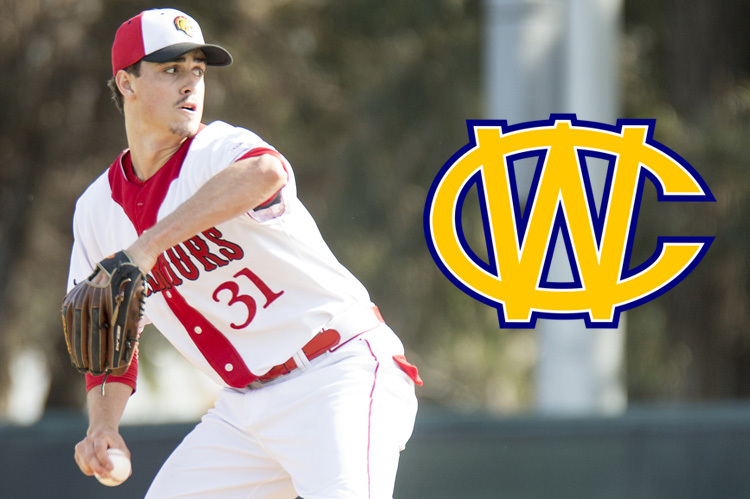 Nick Roth | College of Marin | P: Nick has been a force on the mound for College of Marin this season, and this past week of games puts a stamp on an already successful season. Over his last 5 appearances, Roth has not given up a run while recording 5 Saves and striking out 7. Christian Merriwether | College of Marin | CF: Hitting at the top of the lineup for the Mariners, Christian Merriwether has made his presence felt over the last week, going 8 for 21 with 6 Runs scored, 5 RBI, and a Double while flashing a little speed with 3 SB. Chase Gardner | University of Connecticut | P: Chase had his best start of the season last week against Hartford, tossing 7 shutout innings and recording 7 K’s to go along with the Win. He has now recorded back-to-back excellent starts, having gone 5.2 IP with 5 K’s and 0 ER against University of Southern Florida in his last start. Ryan Hooper | UC Davis | OF: Hooper’s bat has made an impact of late for the Aggies, as he has gone 8 for his last 21 with 2 Runs, an RBI, and a HR while swiping a couple bags in the process as well. 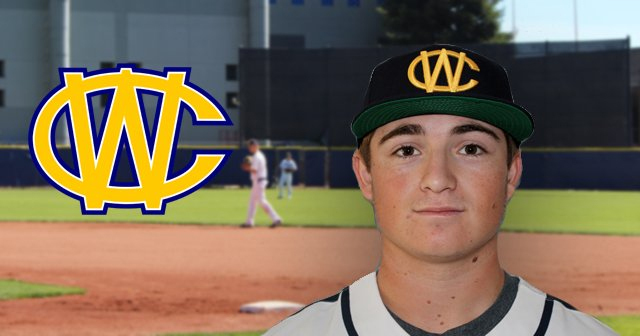 Hance Smith | Santa Rosa Junior College | INF / P: Hance returns to the California Warriors Alumni of the Week list for the second time this season, this time as the top-earner after a monster week at the plate for Santa Rosa Junior College. Smith is 8 for his last 19 with 8 Runs, 4 RBI, 1 HR, and 1 SB – look to see him on the diamond playing for UC Berkeley next season. Andrew Ferrero | Amherst College | RHP: The junior from San Francisco has been having himself a solid season on the mound, and came away this week with his best outing of the year. Andrew entered the game in the first inning after Amherst’s first two pitchers gave up 4 Runs and failed to record an out. Ferrero proceeded to shut down the opposing bats, tossing 7 Innings of shutout ball, striking out 9 batters and recording the Win. Alec Ritch | Branson / Middlebury College | RHP: Alec put the Branson Bulls on his shoulders for this one, tossing a complete game 4-hitter against Drake while going 3 for 3 with a HR. Earlier this year, Ritch signed a letter of intent to join the baseball team at Middlebury College. Matt Ladrech | UC Berkeley | LHP: The veteran hurler earned his second Win of the season last week, tossing 5.1 Innings against the University of Oregon. Matt struck out 6 while walking none and giving up just 1 Run. Copyright © 2019 First Base Foundation. All Rights Reserved.